The image on this card is MadHatress from Saturated Canary. 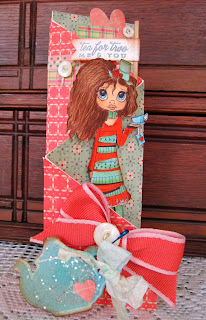 I tried to photograph this card several different ways - its a trifold and pretty tall. Made it a little difficult! This image is just darling - so fun to color. Speaking of color, this combination of red and blue/green seems to be a favorite of mine. how cute this card is! 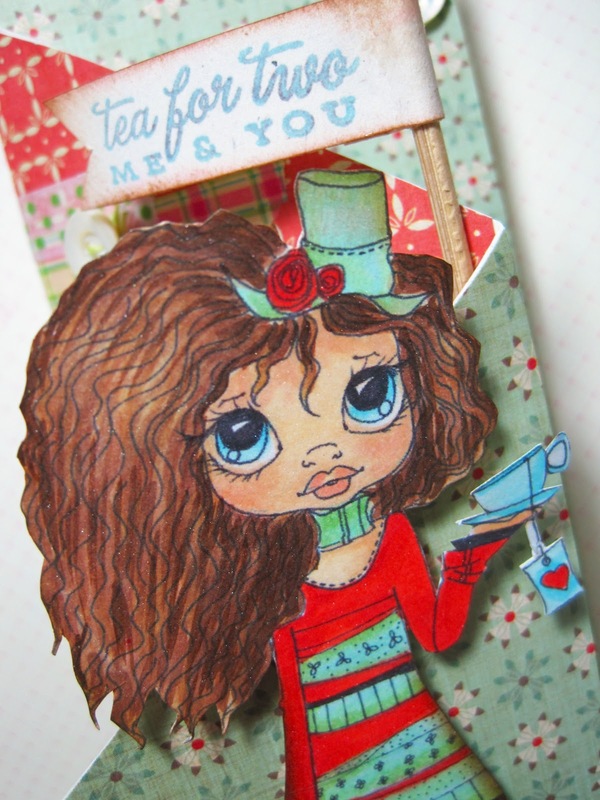 perfect for a little teaparty invitation. And, i'm all about teapartys! 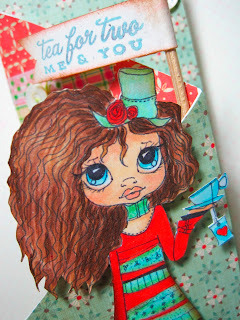 This is just so adorable Lori, such a sweet invitation to tea! 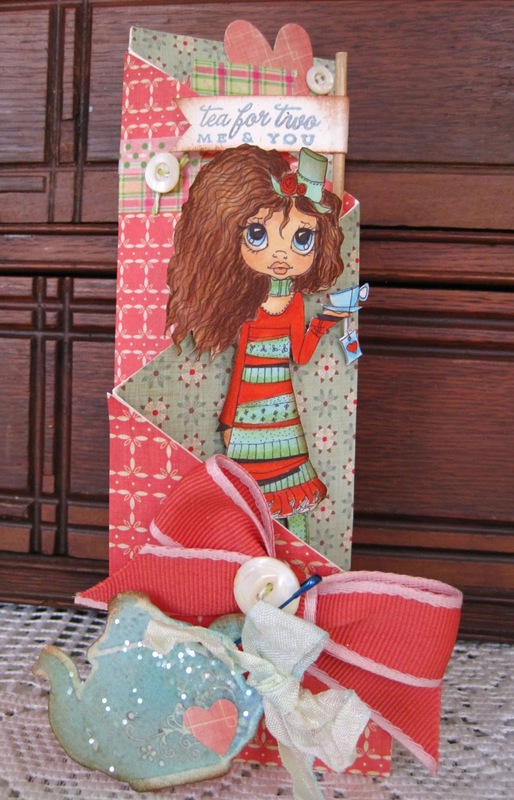 Just as cute as it can be Lori - love the colors you have used!! 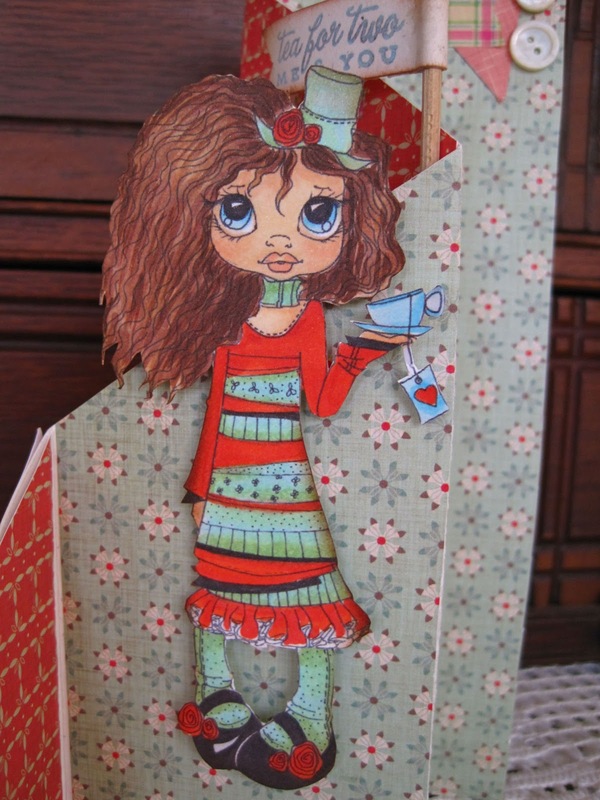 Your project here look so cute. The colors you used here look fabulous. How pretty! love the colors you used!